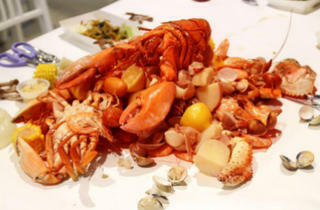 Ditch those forks and spoons, put on your bibs and prepare to get real messy – this mammoth 200-seater at the Big Splash with a nautical theme specialises in boiled seafood served in plastic bundles that you smother in Asian-inspired sauces like garlic butter, ultimate curry and the caboodle mix, a combo of local and Cajun spices. The seafood selection comprises prawns ($20), yabbies ($25), Sri Lankan crabs ($45) and the massive Boston lobster ($65), while sides of sweet potato fries and the CiDB wings are also available. 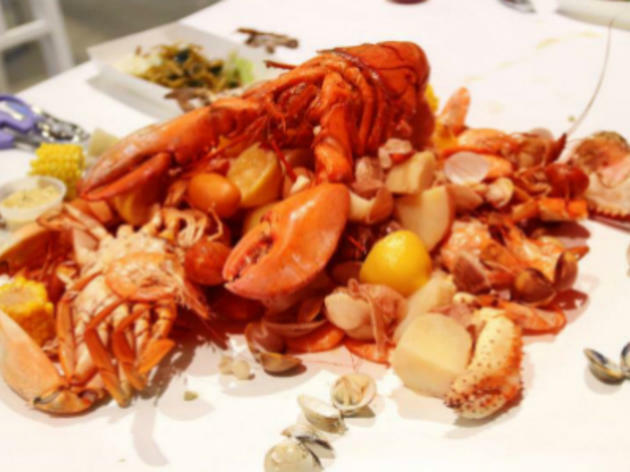 Big groups take note: call in advance to order the Caboodle Boil ($299/six people) – an impressive spectacle of six types of shellfish, sausages, corn and potatoes dumped out of a pail onto your table.